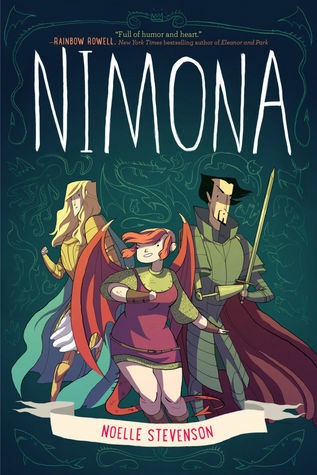 I was introduced to Nimona when it was listed as a Featured Read on The Savvy Reader's 50 Book Pledge. I have never read a complete graphic novel, so I thought this would be a great start. I was not disappointed. I read the book in under two hours and enjoyed every page. The pages are vibrant and filled with beautiful graphics. The story is easy to follow and at times can be laugh out loud funny. This book has made me an instant fan of Noelle Stevenson and I highly recommend it to anyone who is interested in getting into reading graphic novels. Nimona was definitely a great starting point for me.